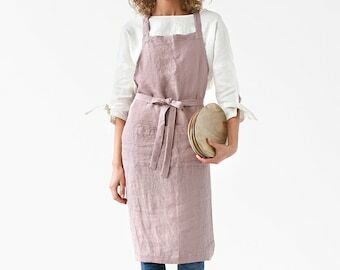 Linen apron with pockets in blue denim texture. 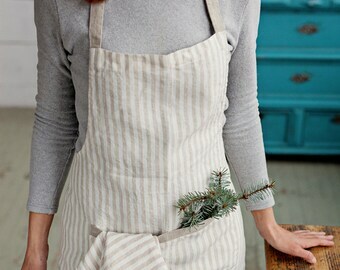 Linen apron for women. 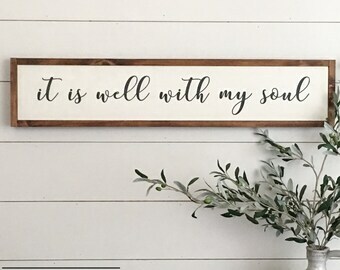 Full apron for cooking, gardening. Striped linen apron. Full apron with front pocket. 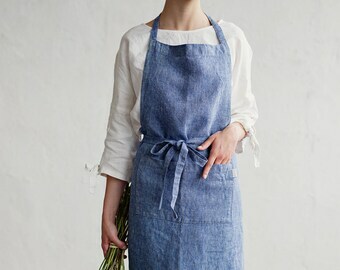 Woman linen apron. Unisex linen kitchen apron. 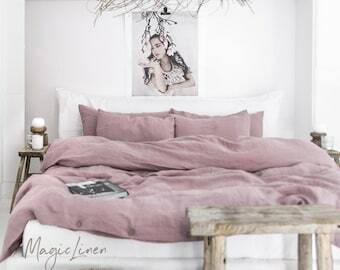 Linen bedding set in Woodrose (Dusty Pink). 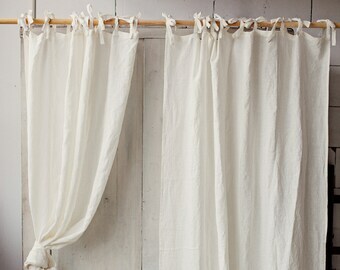 King/ Queen washed linen duvet cover set with 2 pillowcases. 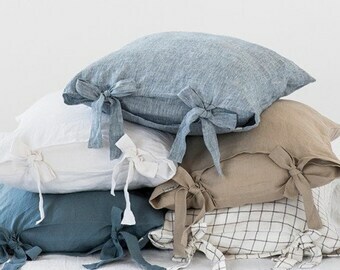 Linen pillow case with ribbon ties. 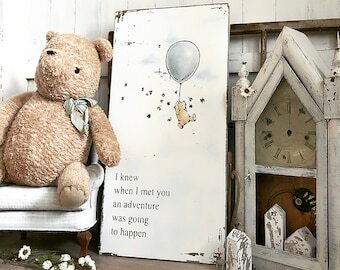 Stone washed, softened, handmade pillow cover. 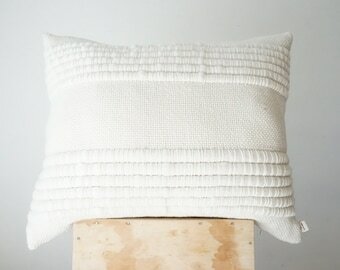 Linen pillow case with pom pom trim. 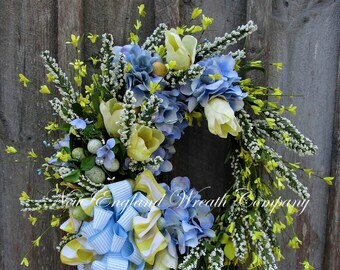 Standard, queen, king, body, euro sham and custom size pillow cover. 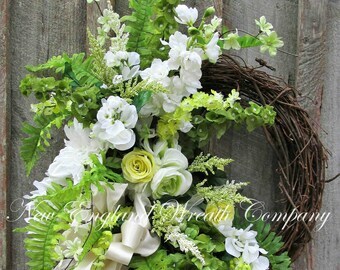 Nature inspired, one of a kind floral design.